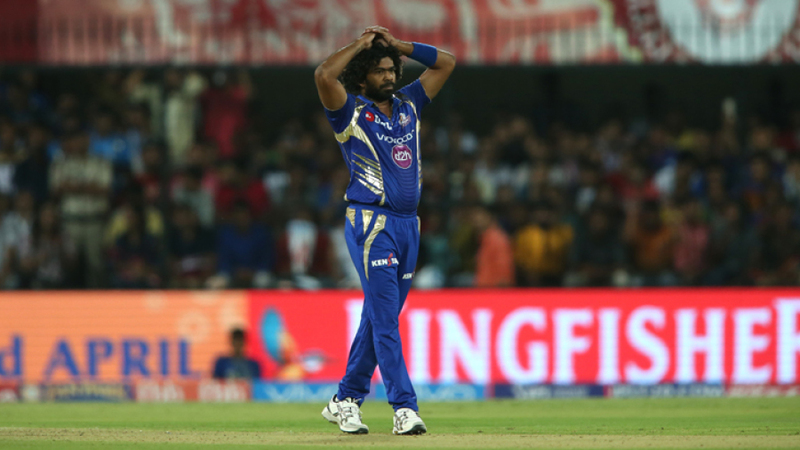 Lasith Malinga has ruled himself out of at least the first six IPL matches for Mumbai Indians in order to qualify for the Sri Lanka World Cup squad. With Sri Lanka's selectors having told players they must play in the forthcoming Super Provincial One Day domestic tournament if they are to be considered for the World Cup, Malinga has chosen to fulfil that requirement. Although bought at the auction for INR 2 crore (approx USD $290,000), Malinga recently stated his commitment to Sri Lanka's World Cup campaign. Not only is he Sri Lanka's present ODI captain, he has also been named captain of the Galle side in the Super Provincial tournament. That Super Provincial tournament runs from April 4 to April 11, with the squads expected to be training a few days before the tournament starts. Malinga does not get back to Sri Lanka until March 26, as he is still with Sri Lanka's T20 side in South Africa. "I had asked the board for the No-Objection Certificate for me to play in the IPL, and they had said that was fine, but that all players who want to go to the World Cup would need to stay back for the provincial tournament," Malinga told ESPNcricinfo. "So I told them I'd play in the provincial tournament, and I asked the board to inform Mumbai Indians and IPL, since it was their decision. I'm ok with losing those earnings from IPL. I'm doing it for the country." SLC CEO Ashley de Silva also said Malinga had "intimated his interest" in playing the Super Provincial tournament. Malinga had not been bought for the 2018 IPL, and had worked instead as a bowling mentor with the Mumbai Indians side. In that year, he had missed Sri Lanka's foregone Sri Lanka's provincial tournament in favour of working at the IPL, but after his good limited-overs performances for Sri Lanka reignited Mumbai's interest in him as a player, Malinga has now shown a preference to go all in on his Sri Lanka commitments. "Once I become available for Mumbai Indians, I would have missed seven or eight games," he said. "So there's probably no point in them waiting around for me. Better for them to find someone else to replace me with." If Malinga is picked in Sri Lanka's World Cup squad - which is highly probable, given he has arguably been Sri Lanka's best ODI bowler over the past six months - he may also be required to attend training camps through May, when the later stages of the IPL are still ongoing. Although Malinga is captain of the Sri Lanka team for now, there is a chance he will not lead the side at the World Cup, with the selectors stating they will consider both Angelo Mathews and Dimuth Karunaratne for the captaincy, largely due to Malinga's woeful record as ODI captain. They have not ruled out a continued Malinga captaincy either, however. Despite not having played the 2018 IPL, Malinga remains the highest wicket-taker in the tournament's history, with 154 dismissals at an average of 19.01, and an economy rate of 6.86.